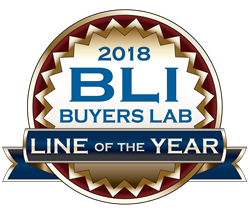 Keypoint Intelligence - Buyers Lab (BLI) today announced that Konica Minolta Business Solutions U.S.A., Inc., has won BLI’s 2018 Document Imaging Software Line of the Year award for the North American region. Keypoint Intelligence - Buyers Lab (BLI), the world’s leading independent evaluator of document imaging software, hardware, and services, today announced that Konica Minolta Business Solutions U.S.A., Inc., has won BLI’s 2018 Document Imaging Software Line of the Year award for the Americas. Given once a year, this coveted award recognizes the vendor that offers the most complete and robust software portfolio across the range of document imaging application categories BLI covers in its bliQ subscription service. To determine the Software Line of the Year award recipient, BLI’s experienced staff of analysts considers the software each leading printer and MFP OEM officially sells and supports via its direct and independent sales channels. The OEM’s own products, as well as products from partner ISVs (independent software vendors), are considered, and the portfolio is judged on both the breadth and depth of the products offered. For the breadth of the portfolio, BLI’s team considers how complete each vendor’s line is across the most important classes of document imaging software including document management, document capture and workflow, output management, device management, and other solutions such as MFP apps and vertical-market offerings. Another consideration is the variety of offerings in each of those categories to suit the needs of different sized organizations, from small businesses to global enterprises. Judgment on the quality of the solutions is based on BLI’s lab evaluations, which take into account a solution’s feature set, value, ease of use, and other important attributes. Konica Minolta earned points for several of its own class-leading software offerings, including the Dispatcher Phoenix capture/workflow platform. The apps and customizable User Interfaces available via its groundbreaking bizhub Marketplace online “app” portal also figured favorably into the equation, as did the company’s strong portfolio of class-leading document imaging applications sourced from independent software vendors such as Kofax, Nuance Communications, Pharos Systems, Prism Software, Square 9 Softworks, and many others.